Ginger hotel from Tata group is available at cheap rates courtesy Cleartrip discount offer. Check the below image for deal code. Book any domestic package in select Ginger Hotels & get Rs. 2000 cash back on every room night. The more room nights you book, the more cash back you get. Book more to save more! How do you save big? 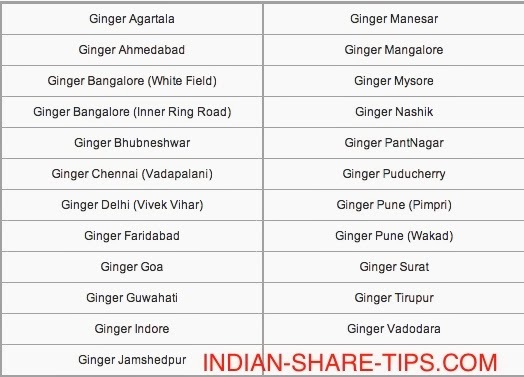 Book any domestic package in select Ginger Hotels mentioned above. Enter coupon code GINGERPKG before making the payment. The cashback will be instantly reduced from the total amount payable. To book on IVR/Phone, call Cleartrip Customer Care on 1800 3000 3004 to make the booking. Valid for transactions made between 01 July, 2013 to 31 August, 2013 for stay upto 30 September, 2013.